THE MATERIALS CONTAINED HEREIN ARE INTENDED TO BE AN INFORMATIVE AND EDUCATIONAL LEGAL REFERENCE SOURCE FOR LAW STUDENTS, LEGAL PROFESSIONALS AND OTHERS INTERESTED IN LEARNING MORE ABOUT THE LAWS OF NORTH CAROLINA. (a1) A person who has submitted to a chemical analysis of a blood sample, pursuant to G.S. 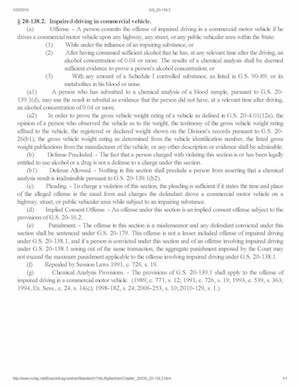 20-139.1(d), may use the result in rebuttal as evidence that the person did not have, at a relevant time after driving, an alcohol concentration of 0.04 or more. (a2) In order to prove the gross vehicle weight rating of a vehicle as defined in G.S. 20-4.01(12e), the opinion of a person who observed the vehicle as to the weight, the testimony of the gross vehicle weight rating affixed to the vehicle, the registered or declared weight shown on the Division’s records pursuant to G.S. 20-26(b1), the gross vehicle weight rating as determined from the vehicle identification number, the listed gross weight publications from the manufacturer of the vehicle, or any other description or evidence shall be admissible. (b) Defense Precluded. – The fact that a person charged with violating this section is or has been legally entitled to use alcohol or a drug is not a defense to a charge under this section. (b1) Defense Allowed. – Nothing in this section shall preclude a person from asserting that a chemical analysis result is inadmissible pursuant to G.S. 20-139.1(b2). (c) Pleading. – To charge a violation of this section, the pleading is sufficient if it states the time and place of the alleged offense in the usual form and charges the defendant drove a commercial motor vehicle on a highway, street, or public vehicular area while subject to an impairing substance. (d) Implied Consent Offense. 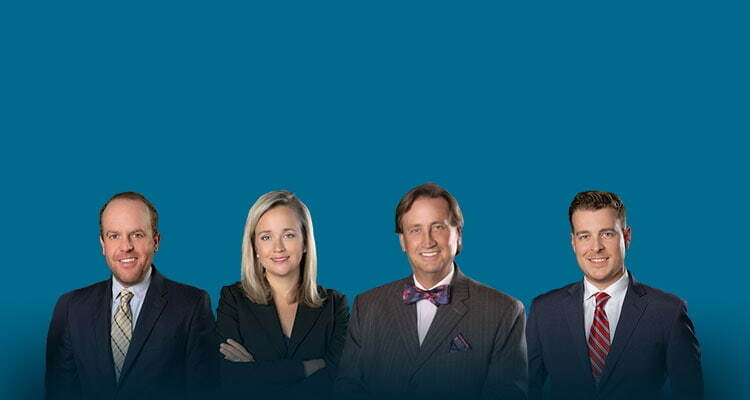 – An offense under this section is an implied consent offense subject to the provisions of G.S. 20-16.2. (e) Punishment. – The offense in this section is a misdemeanor and any defendant convicted under this section shall be sentenced under G.S. 20-179. This offense is not a lesser included offense of impaired driving under G.S. 20-138.1, and if a person is convicted under this section and of an offense involving impaired driving under G.S. 20-138.1 arising out of the same transaction, the aggregate punishment imposed by the Court may not exceed the maximum punishment applicable to the offense involving impaired driving under G.S. 20-138.1. (f) Repealed by Session Laws 1991, c. 726, s. 19. (g) Chemical Analysis Provisions. – The provisions of G.S. 20-139.1 shall apply to the offense of impaired driving in a commercial motor vehicle.